Retro Review: Susan Hill's "The Woman In Black"
Home » books » retro review » Retro Review: Susan Hill's "The Woman In Black"
I was first introduced to story of The Woman In Black through a terrifying trip to the stage show in London's West End. It plays at the Fortune Theatre, a wonderfully small old theatre which lends the perfect atmosphere to the telling of such a wonderful ghost story. Having enjoyed the stage show so much, and despite my reservations about the casting of Daniel Radcliffe as the main character Arthur, I took myself off one afternoon and saw the film alone. While I maintain that Radcliffe was not best chosen for the role, the film still scared me. I could be found hiding my eyes behind my hands at several points, primarily due the terrifying image of the woman's face. So at last, I decided to read the book, as this is where the story originated, and I was curious to know how the plot had been altered for the play and the film. Rather aptly I began the book as the wind was howling about my house (strange June weather), and it was so compelling, I sat down and read it in one sitting. For those unfamiliar with the tale, the premise is that Arthur Kipps, a young solicitor is sent to a far away corner of England to resolve the affairs of the recently deceased Alice Drablow. He is the left with the task of sorting through her papers, but in order to do so he must cross Nine Lives Causeway and enter Eel Marsh House. While undertaking this task he encounters the spectre of a woman- the woman in black- whose presence foretells the death of a child. 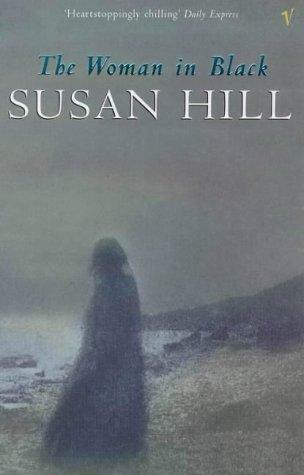 The book is not particularly long, but is perfectly paced, with intrigue and frightening encounters building in line with plot revelations which explain the presence of the unpleasant hauntings at Eel Marsh House. The reader is introduced to several characters in the village who remain strangely tight-lipped about the gossip and fears surrounding the woman in black. One thing is certain: no one wants to go anywhere near the house. As with many a well crafted ghost story, it is told from the perspective of an aging Arthur Kipps, as he recalls the true horrors he encountered in that haunted house many years ago. Indeed, for newcomers to the tale, the most horrifying part is left until the final pages of the book, to great effect. There is no ghost story quite like it. You definitely should, it's really short, and very gripping. You'll shoot through it!